“Nancy Pelosi and some of the Democrats turned down my offer yesterday before I even got up to speak. They don’t see crime & drugs, they only see 2020 – which they are not going to win. In a further tweet, apparently aimed at conservatives such as media commentator Ann Coulter and Tom Fitton, president of the right-wing activist group Judicial Watch, who had criticised his offer of extended protections for some young migrants, Mr Trump insisted he was not offering an “amnesty” to people who entered the country illegally. 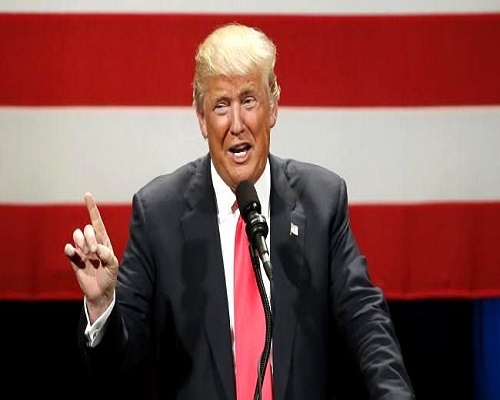 Mr Trump also said he was still thinking about the House speaker’s suggestion that he postpone his State of the Union address, scheduled for 29 January. In a letter to the president on Wednesday, Ms Pelosi warned the prolonged shutdown would compromise security arrangements for the event. She called for him to reschedule the speech, deliver it from the Oval Office, or issue it in written form. Mr Trump responded by refusing use of a military plane for a congressional delegation, including Ms Pelosi, that was due to visit Afghanistan.